I always wanted to be a flower child (not practical, but it was and still is my dream). 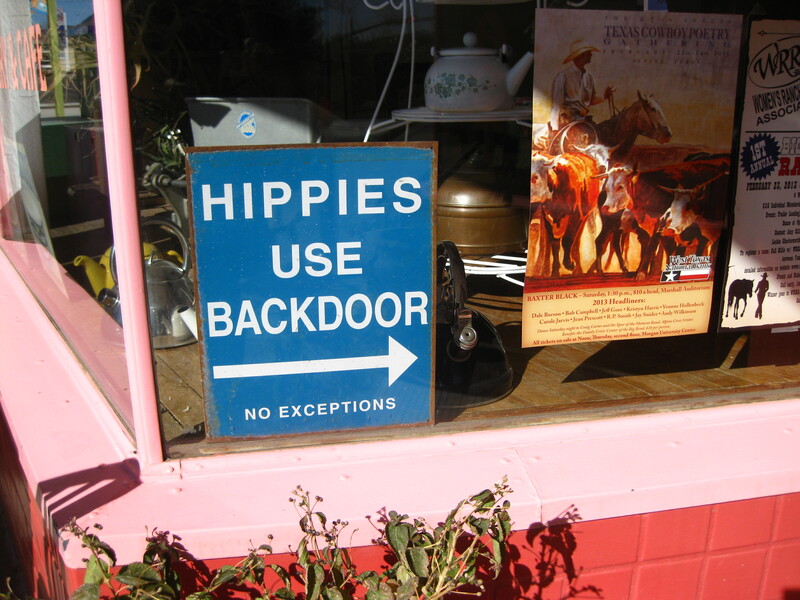 A hippie. That’s what I wanted to grow up and become. Peace and love, but with baths, clean sheets and my OWN non communal bedroom, thank you very much. I spent my youth embroidering peasant blouses and “flower power” motifs on bell bottoms and hanging out with musicians who were embracing really cool music; while a lot of my peers pretended to actually like disco music (cue perplexed eye roll). FYI: I was NOT a groupie. I may have gone out with members of the band, but at different times. Note the distinction. 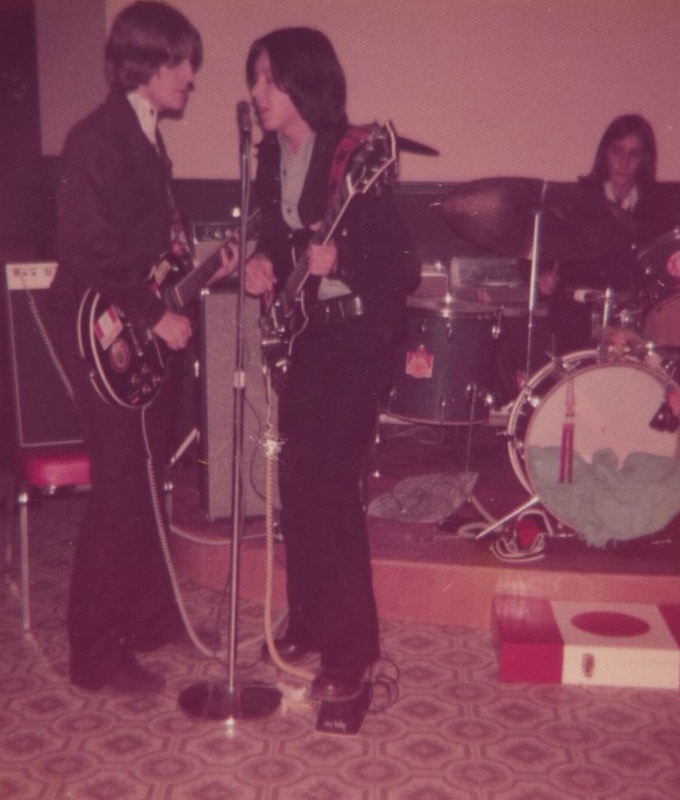 Wayne, Bernie & Danny playing in the band back in the day. 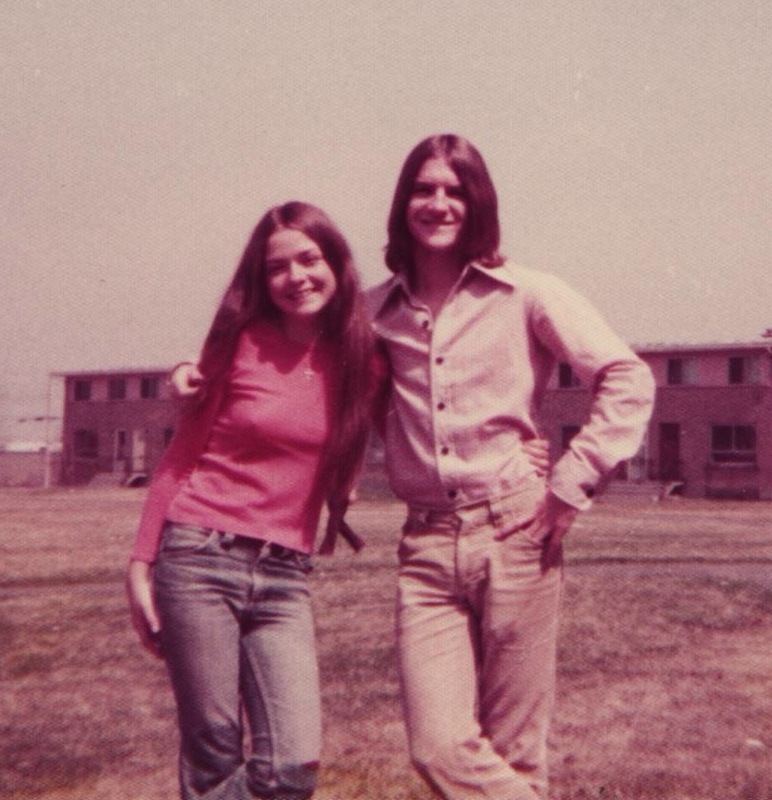 Me with Wayne, one of the guitar players (also back in the day). If you look close at my knee, it looks like there’s an interesting patch (sewn by moi)! The raw stuff takes me back to those days of beads and patchouli… Since I’ve been dabbling in the healing properties of gems, I like to think that some of the stuff I’m currently interested in making would have been de rigueur with the hippie “luxe” crowd. I’m stressing luxe. The whole homeless or grunge (which to me still means “grime” and/or “dirt” not “cool” or “hip” or “Seattle”) look is not my bag! I like the rough texture, and I like the crystals set like the gems they are, not wire wrapped – that would be too hippie dippy even for a wannabe like me. 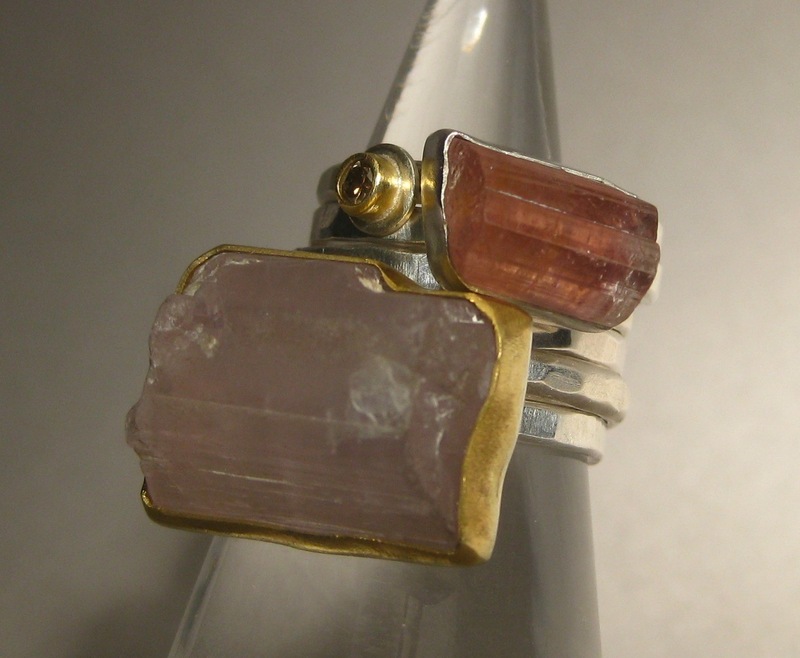 I love these icy pink kunzite crystal rings, in addition to being styling, wearing pink kunzite will open your heart and bless you with good fortune. 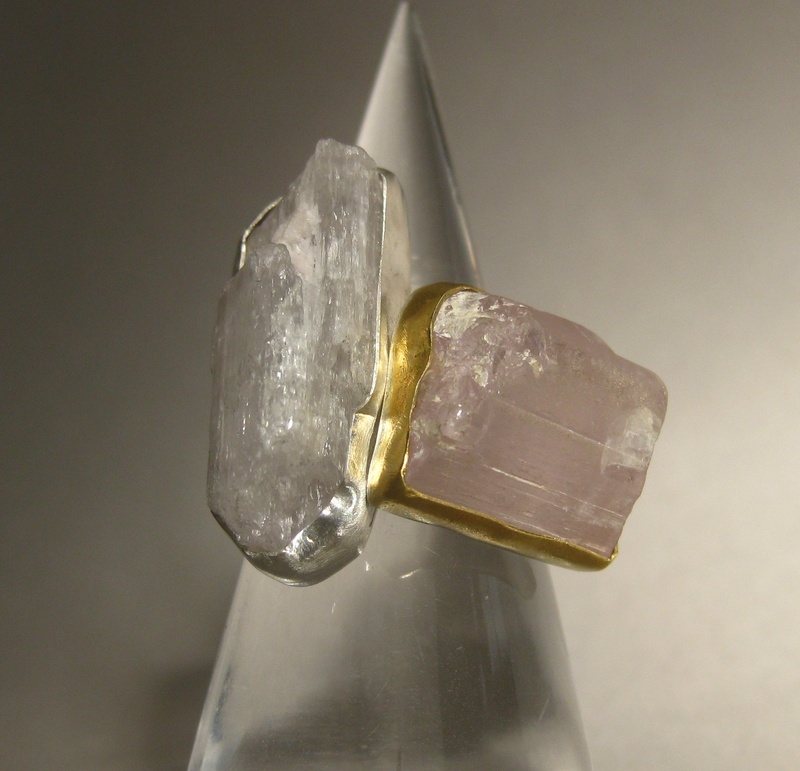 Raw Pink Kunzite Crystal Ring with Raw Pink Tourmaline Crystal & Diamond Stacking Rings. Pink kunzite is particularly powerful when paired with pink tourmaline (love, spirituality, peace, joy and understanding) for comforting love energy. Adding a diamond to the stack is nice too, because, well, it’s a best friend!. 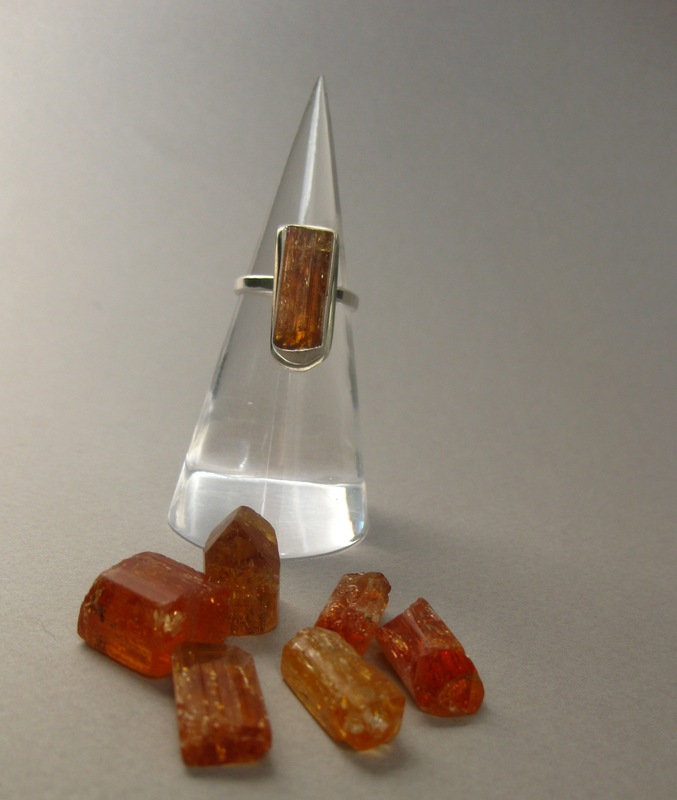 Imperial topaz bestows charisma and love, brings peace, intelligence and protects against envy, disease and bad dreams! It’s absolutely gorgeous. I don’t know why it’s taken me so long to play with topaz. It might have something to do with my gemology teacher back in the day. Her name was Crystal Klocke (I am not making this up) and she always stressed the “cleavage” in topaz. “Nevar” she would say, in her German accent, “name a horse Topaz. Dey will give you nutting but trouble width da knees!” The problem was cleavage. In the knees. Topaz. Made sense to her. 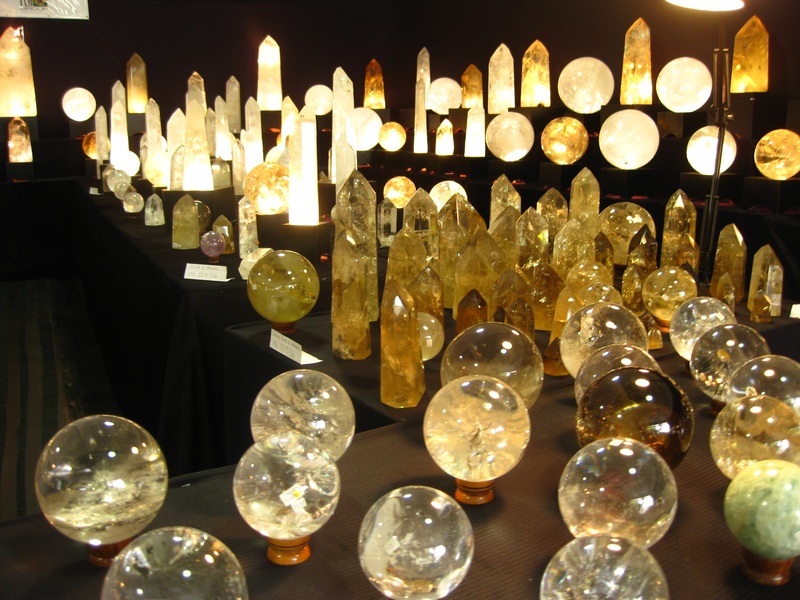 Ms. Klocke’s best line, and my favorite, was when a student would ask about the “whys” and “hows” of certain crystal rock formations, she would answer: “That’s just the way how it is”. 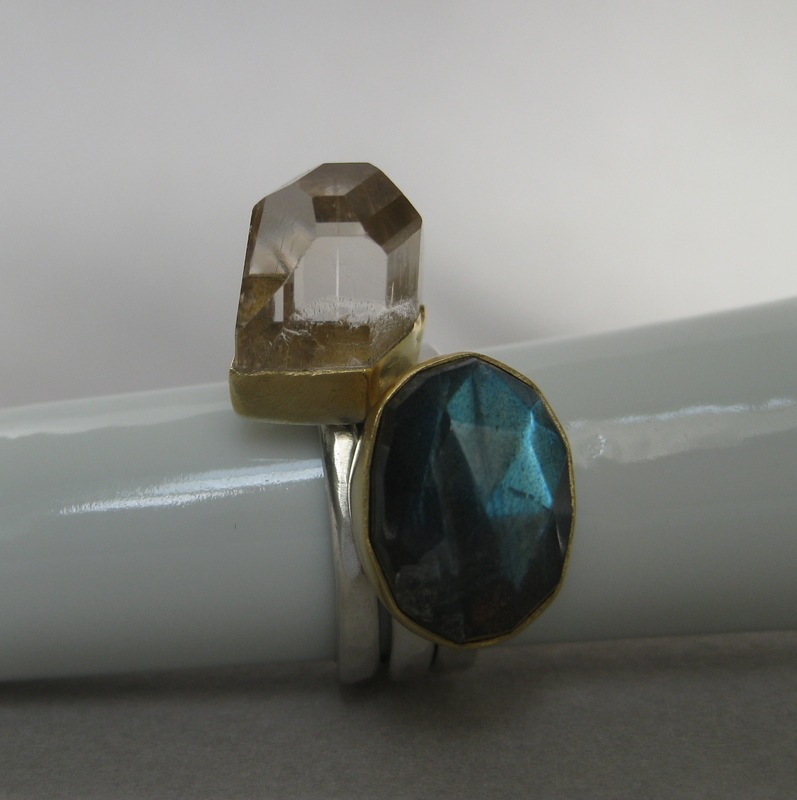 Raw “Champagne” Topaz Crystal Ring Paired with Rose Cut Labradorite Ring. 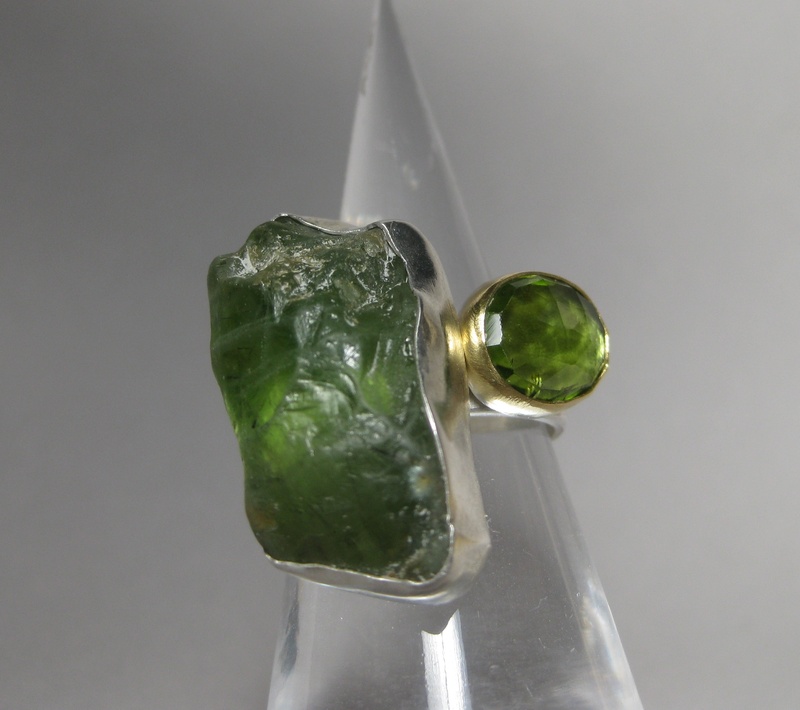 Raw Peridot Crystal Ring with Rose Cut Peridot Ring. Peridot is an excellent stone for protection and helps one with negative emotions like jealousy and a wounded ego. 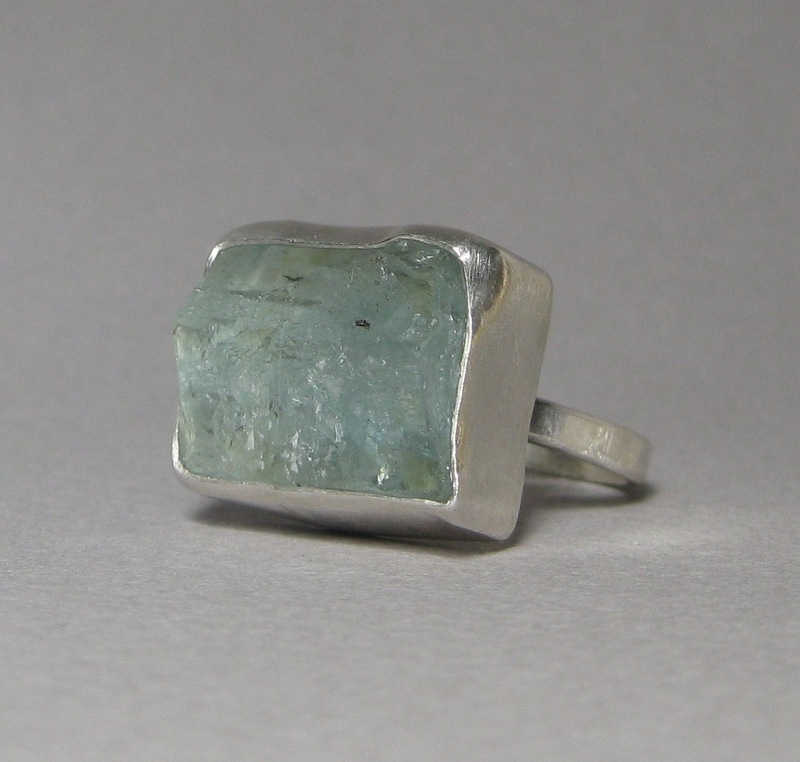 Wearing this stone will help one reach a higher level of insight and consciousness. At the end of this crystal obsession, I could not help it. I had to make some earrings too! 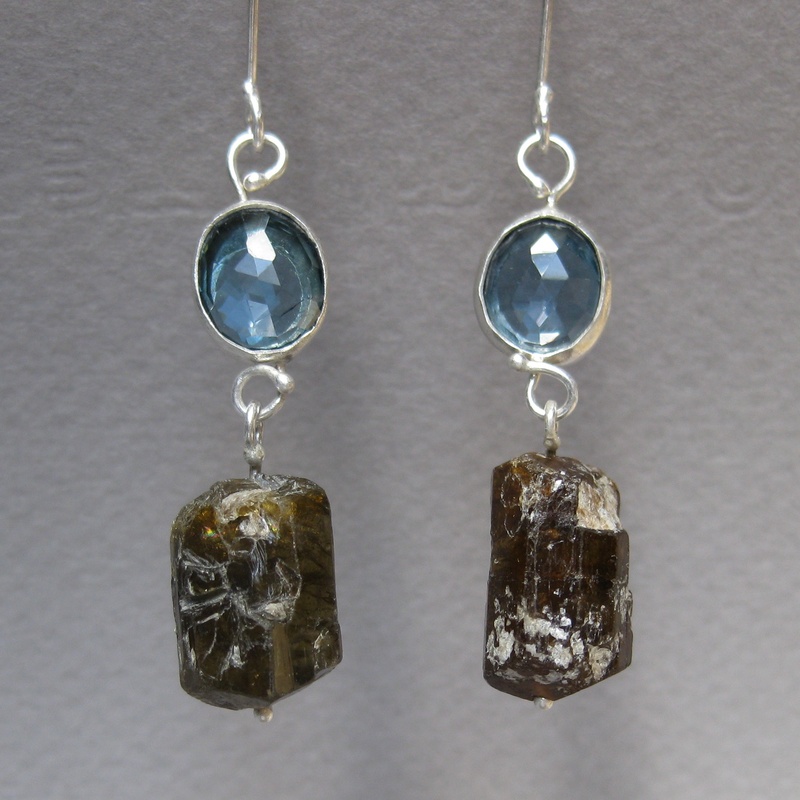 Rose Cut London Blue Topaz Earrings with Raw Brown Tourmaline Crystals. Brown tourmaline (aka “Dravite”) is a grounding soothing crystal that encourages stability, practicality, courage and stamina, the blue topaz brings wisdom and understanding. You are currently viewing the archives for February, 2013 at ledajewelco.